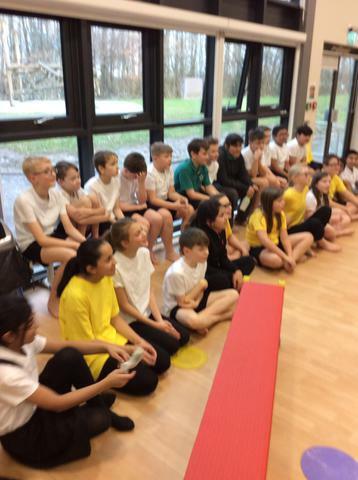 Starting on our very first week in Year 6, we are embarking on a new challenge - The Daily Mile! 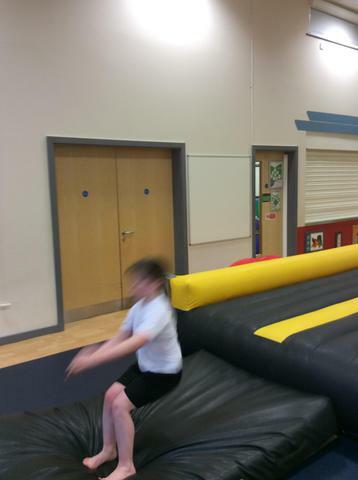 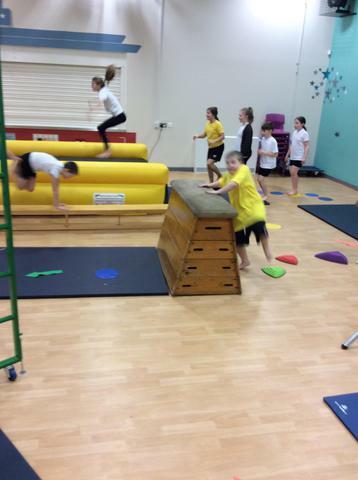 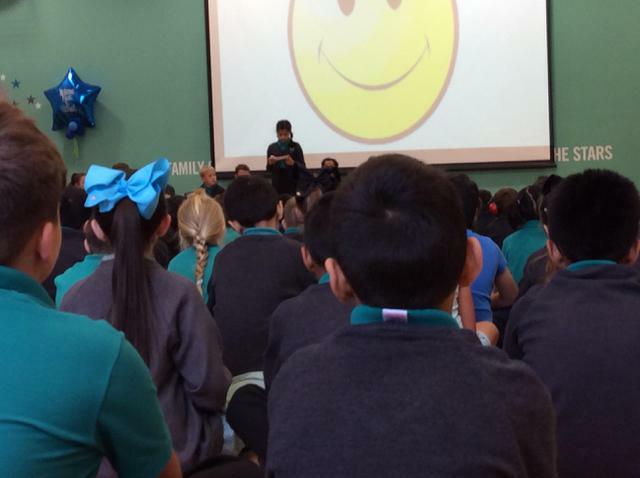 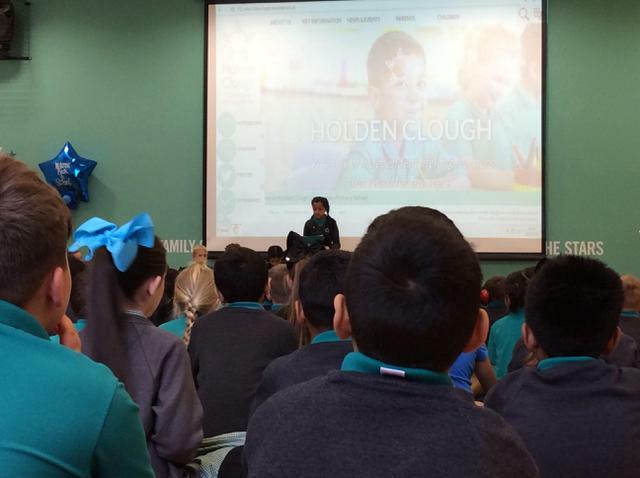 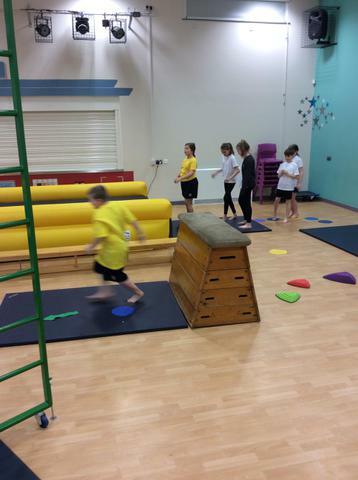 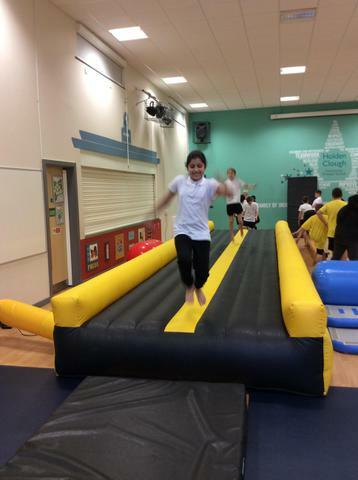 The aim of the daily mile is to improve the physical, emotional and social health and wellbeing of our children. 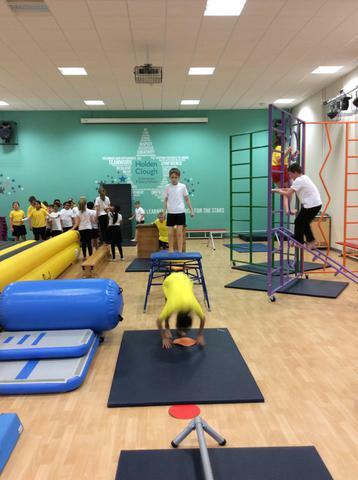 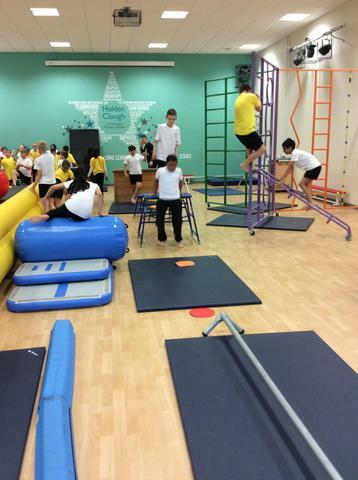 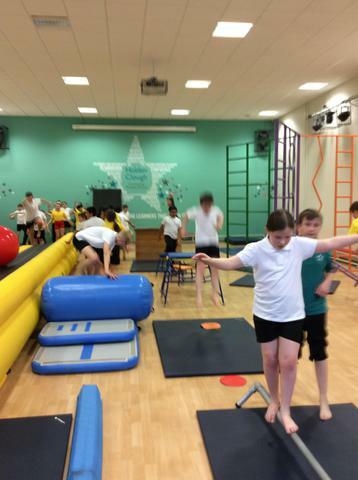 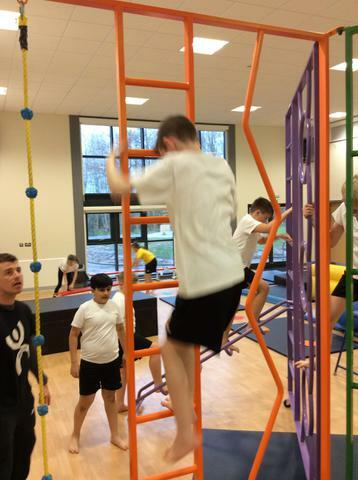 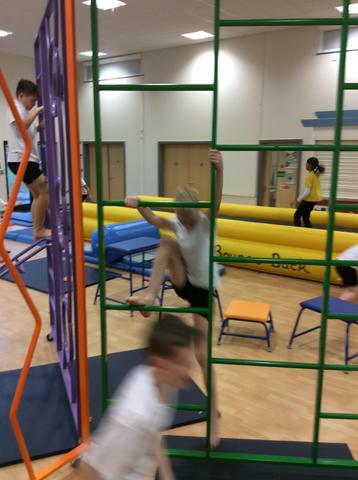 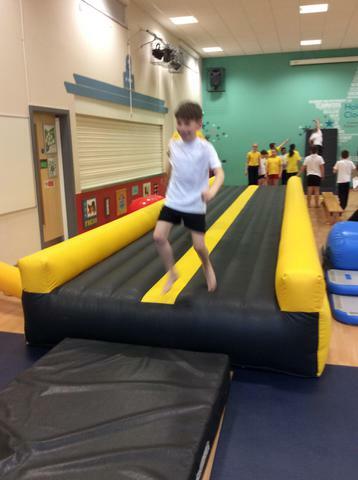 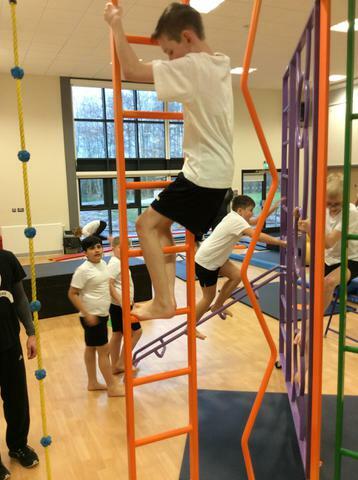 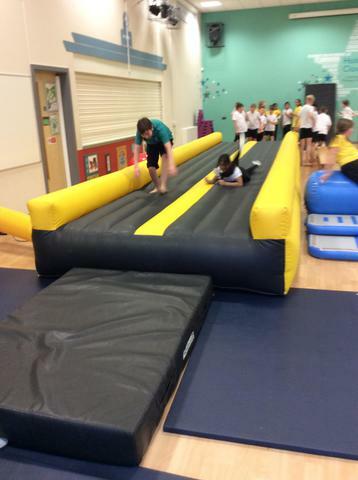 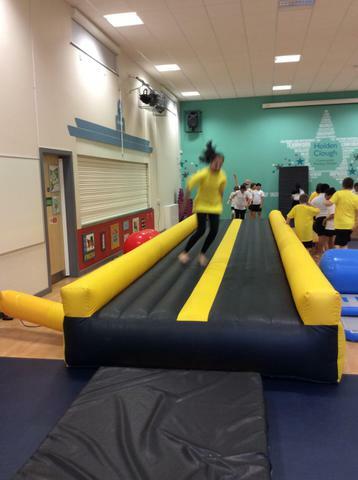 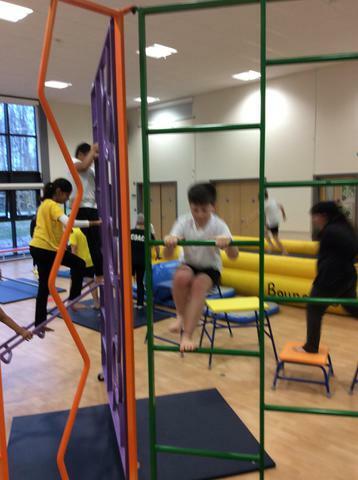 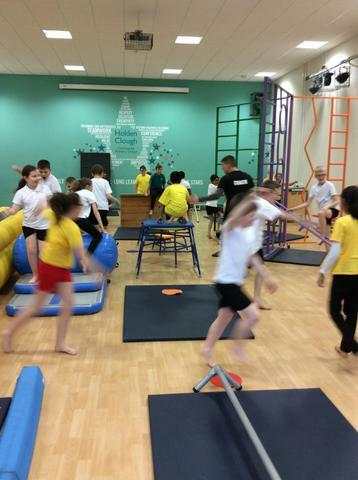 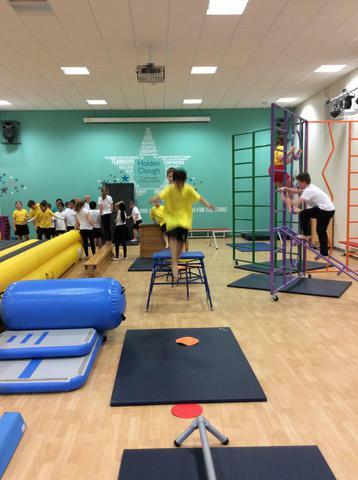 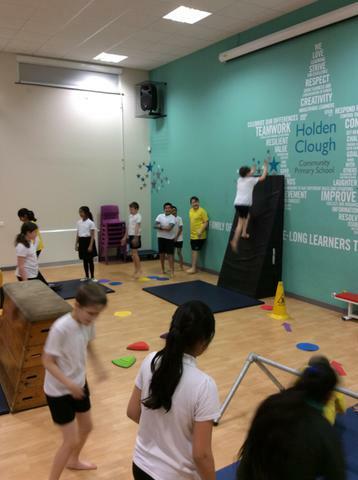 We'll be doing our mile in the morning and we've already found that some physical exercise helps wake us up and get us ready to face our challenging Year 6 curriculum. 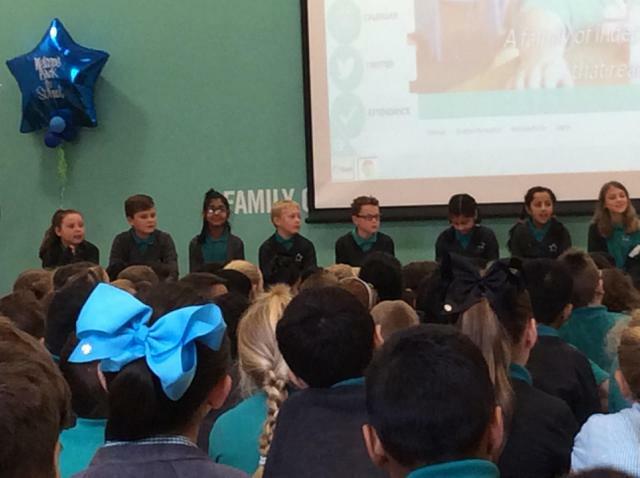 Have you ever wondered who marks all of those SATs tests? 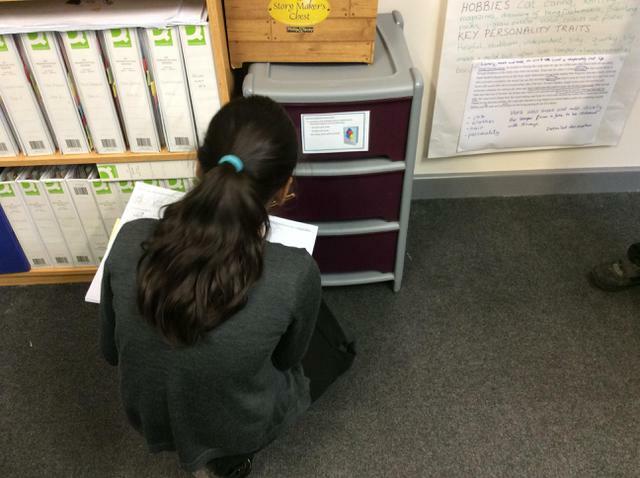 Well, Year 6 have found the answer - Mr Sad SATs Marker! 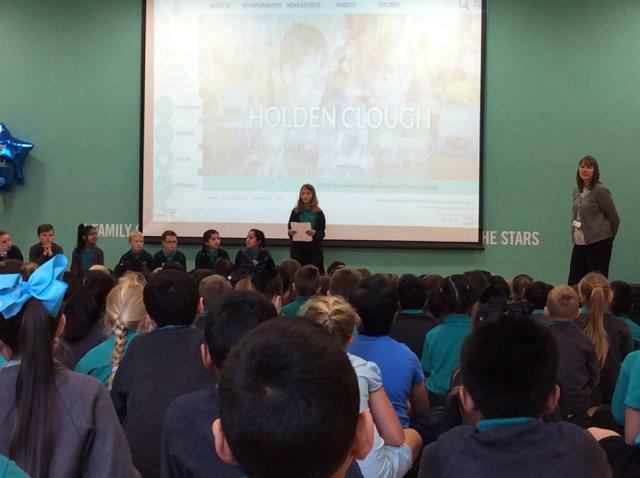 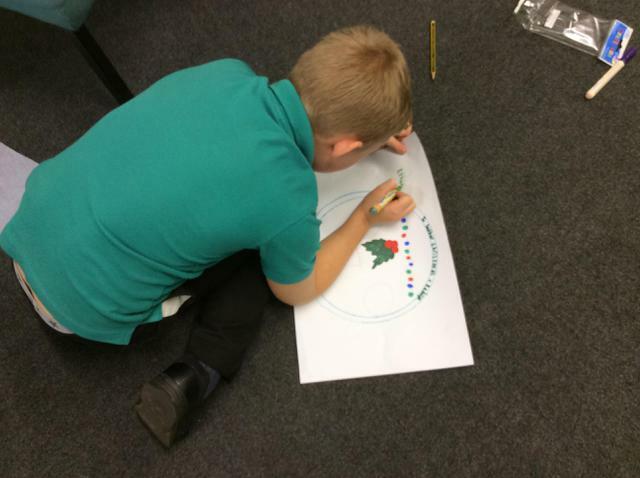 We've created our own character and are preparing to write his autobiography next week. 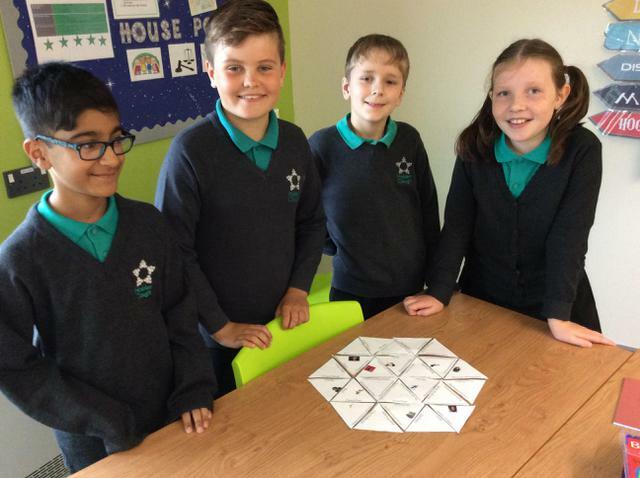 We've been putting our new, more efficient multiplication methods to the test this morning with a multi-step problem treasure hunt. 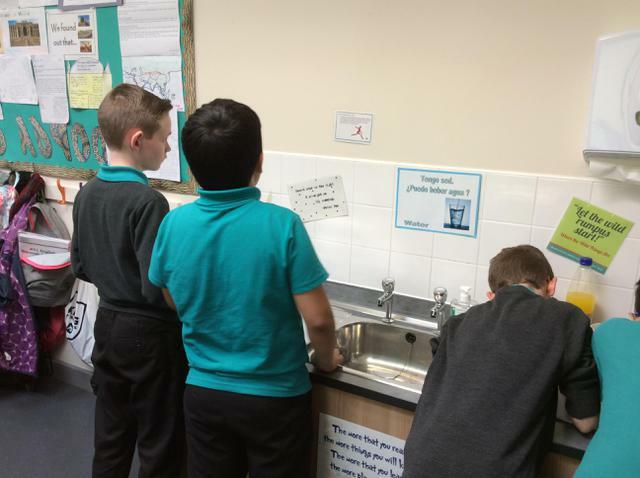 It's helping us to practice long multiplication and solve problems at the same time! 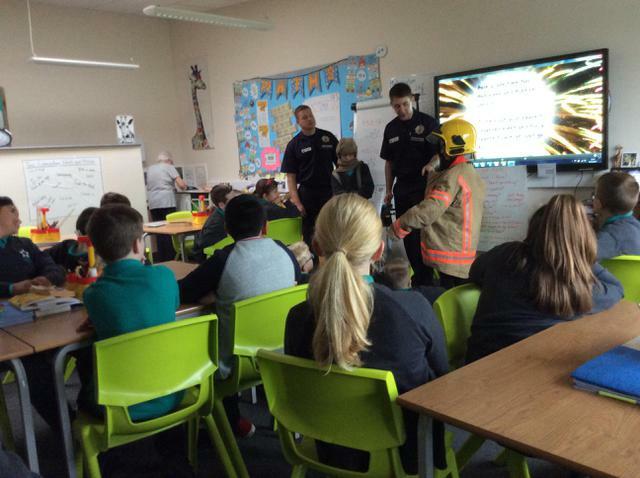 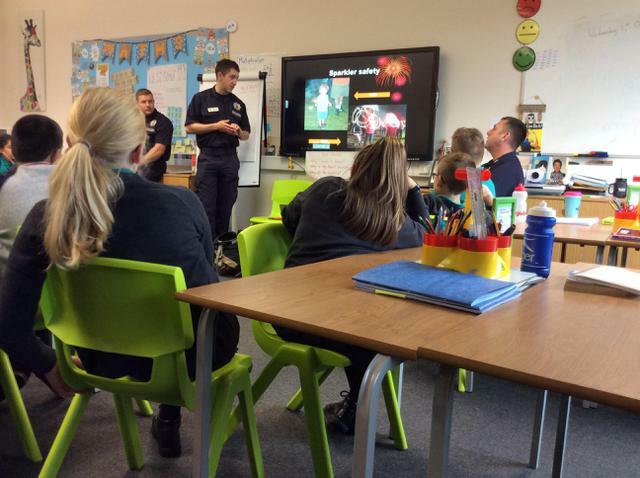 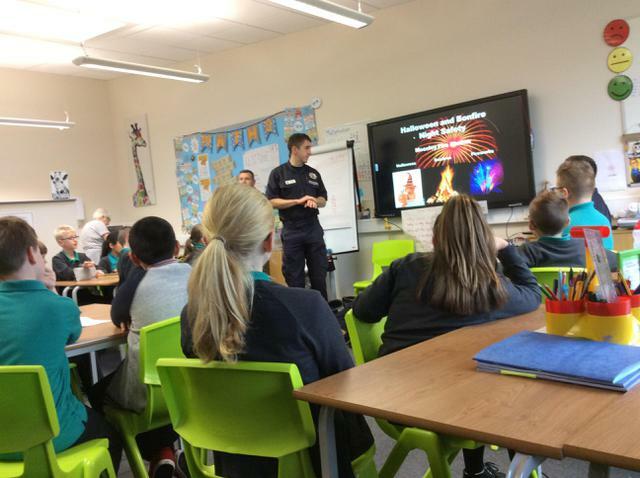 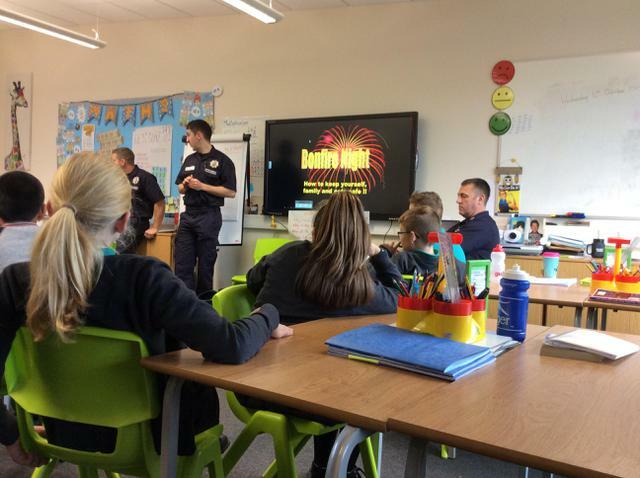 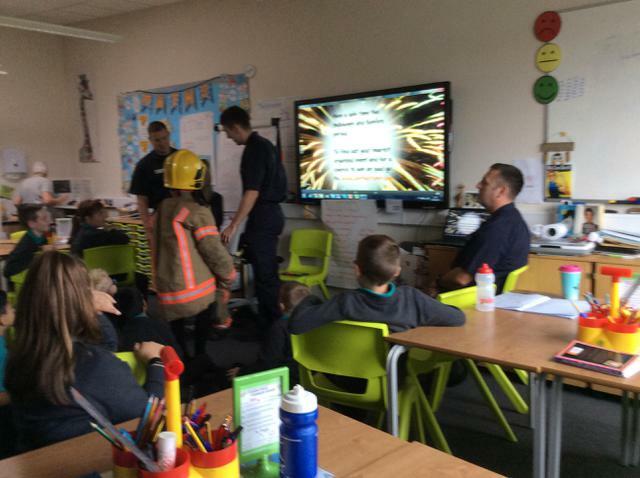 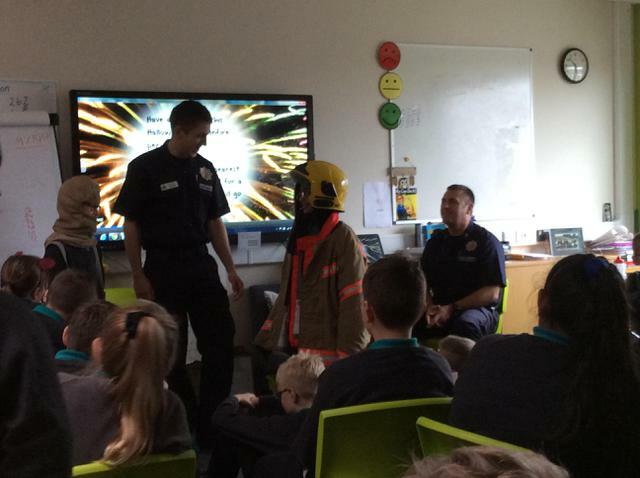 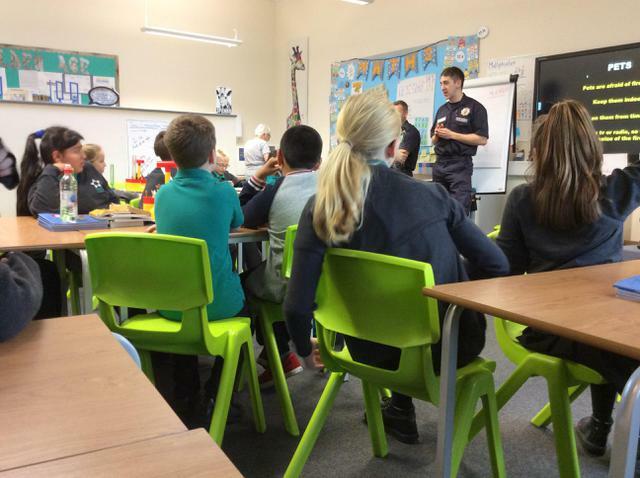 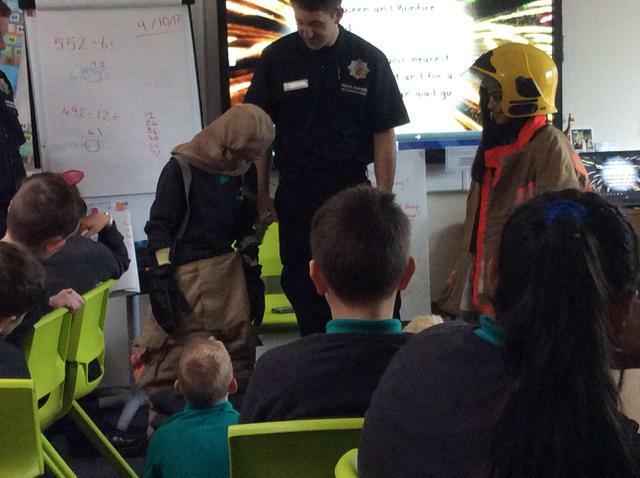 We were lucky enough to enjoy a visit from Firefighters from Mosley today who told us all about keeping safe at Halloween and on Bonfire Night. 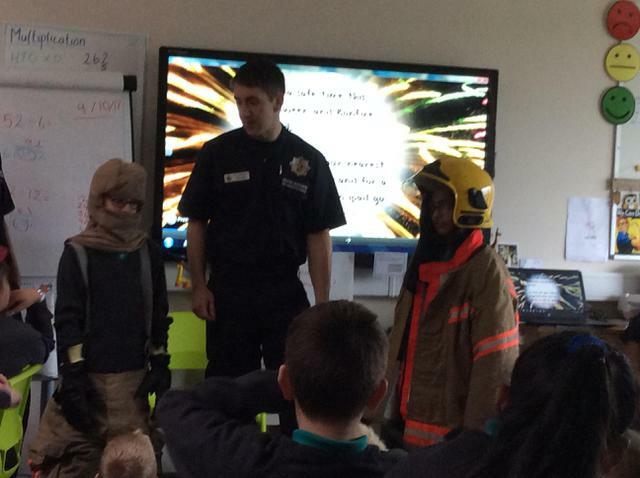 We also got to try some of their kit on - it was unbelievably heavy and stunk of smoke! 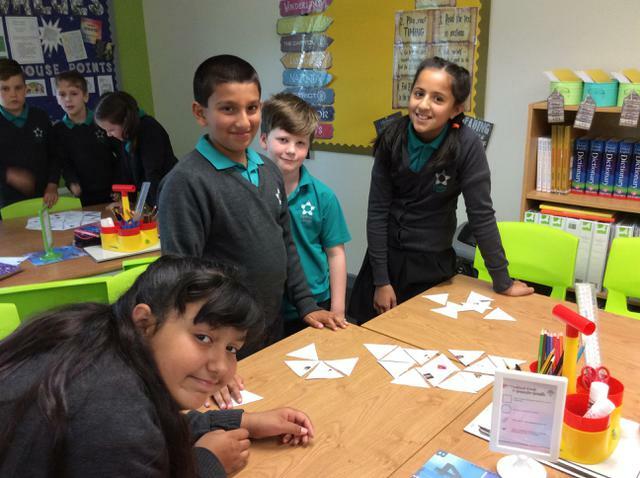 We had lots of fun this morning solving riddles and locating maths problems. 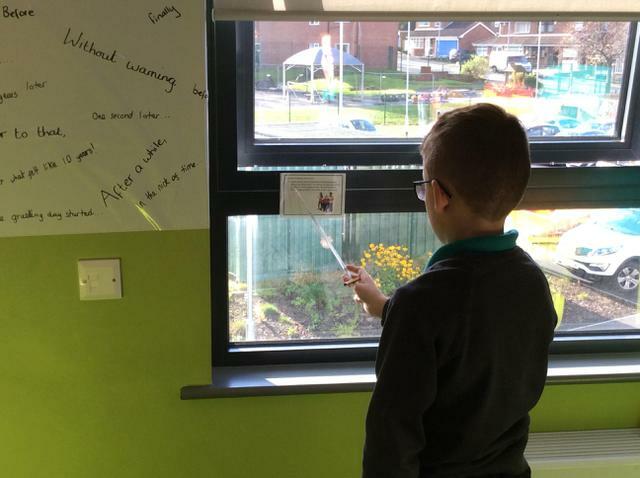 We ventured beyond the classroom to find the questions and collect the letters that would spell Miss Jarman's mystery word. 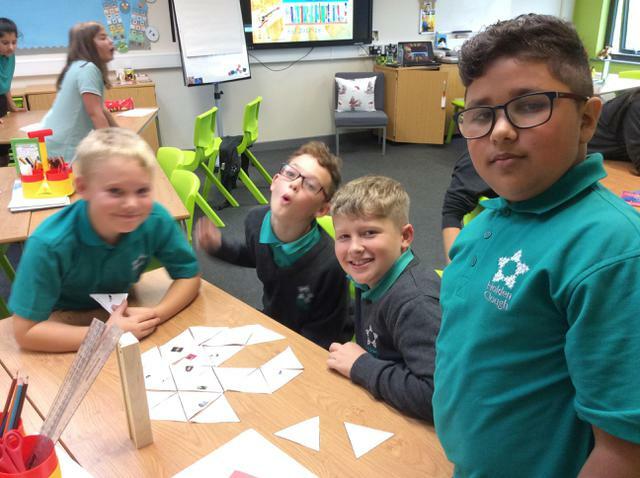 The problems really put our mathematical calculation skills to the test but we managed to find the word by the end of the lesson - it was CHEWBACCA, just in case you were wondering! 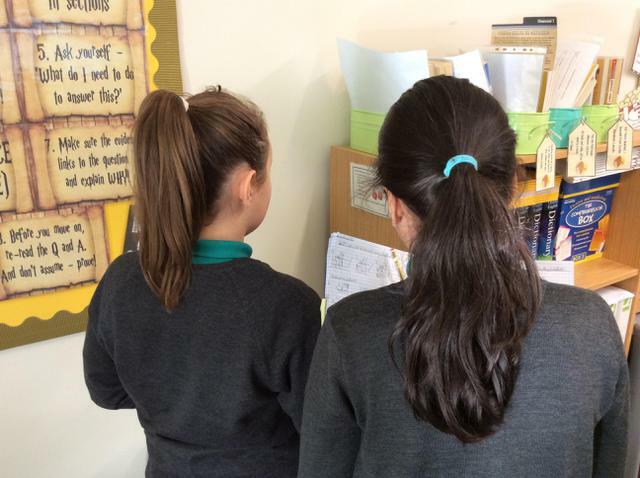 In order to fully immerse ourselves in to the text and really understand the characters in The Highwayman, we took part in a debate. 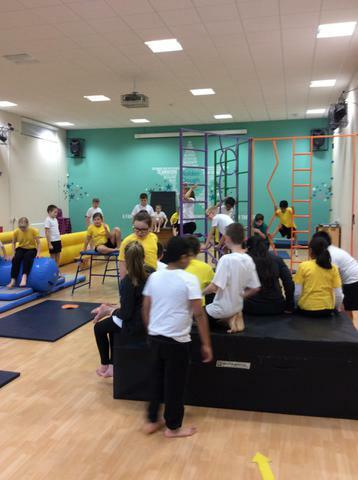 Each team took on the role of one of the characters: The Highwayman, Bess, Tim the Ostler and King George's Men. 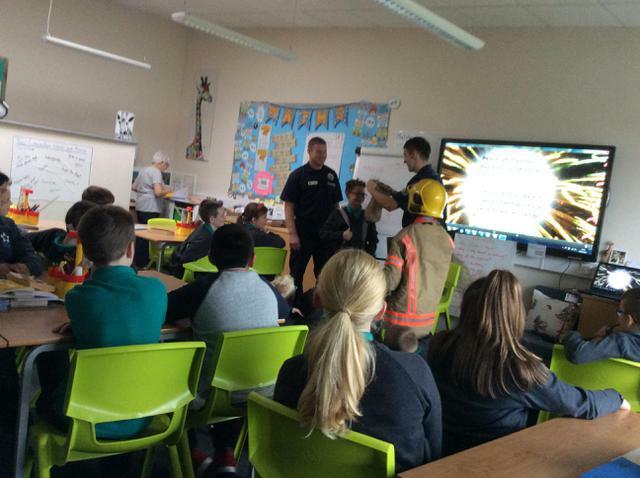 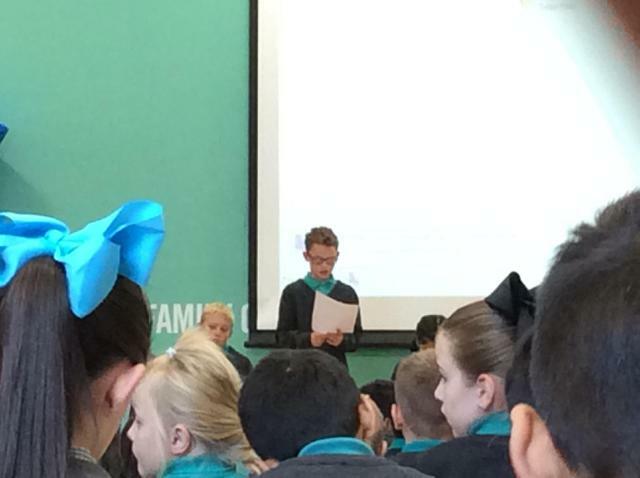 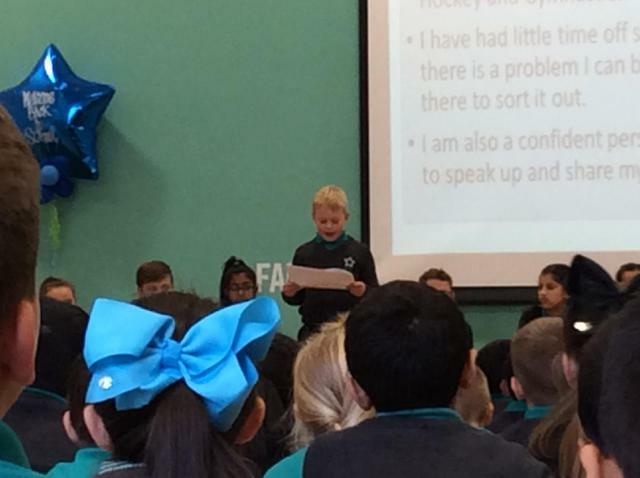 We then wrote speeches to persuade the room that the terrible events that occurred at the Inn were not our fault. 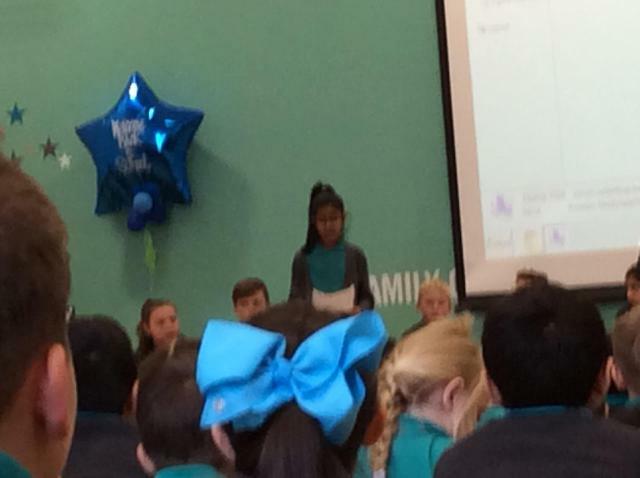 We looked at the rules of debating in the Houses of Parliament and then staged our very own debate - it got a little lively at times but we were all able to get our points across. 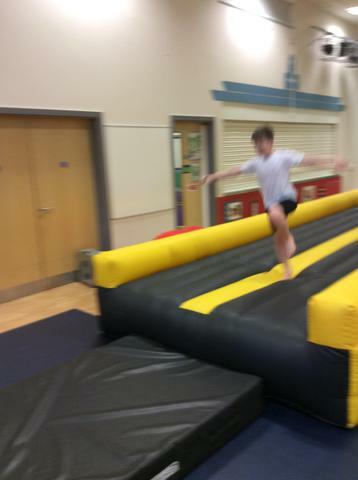 The winners were: Team Highwayman. 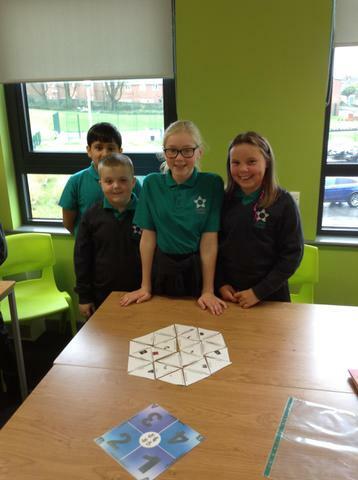 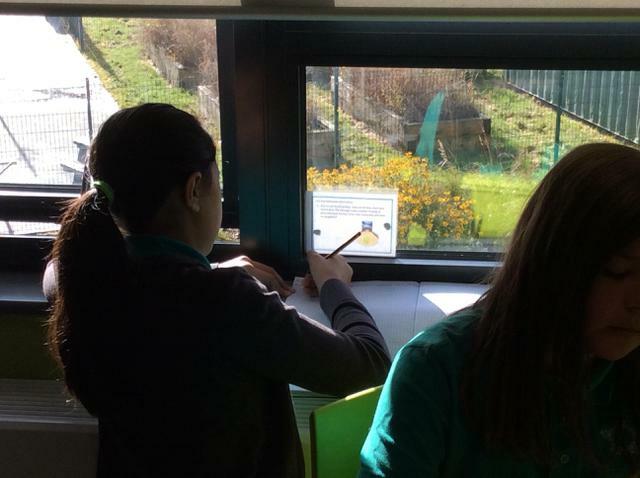 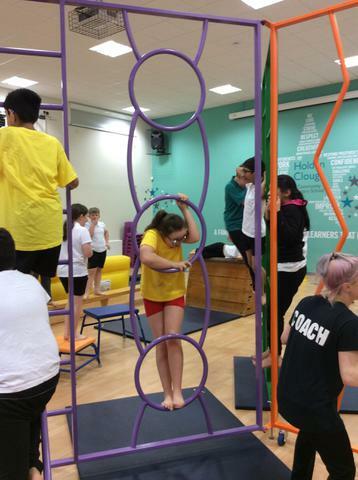 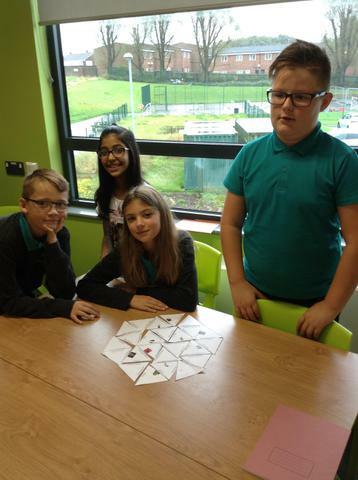 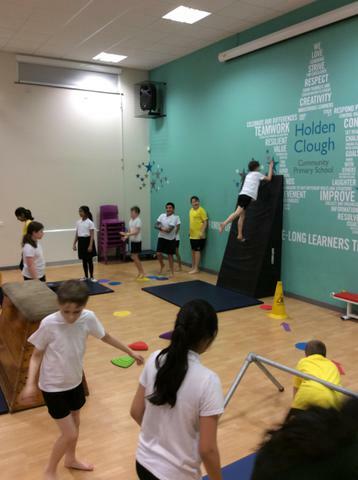 It's Enterprise Week at Holden Clough and Year 6 have been busy honing their Design & Technology skills. 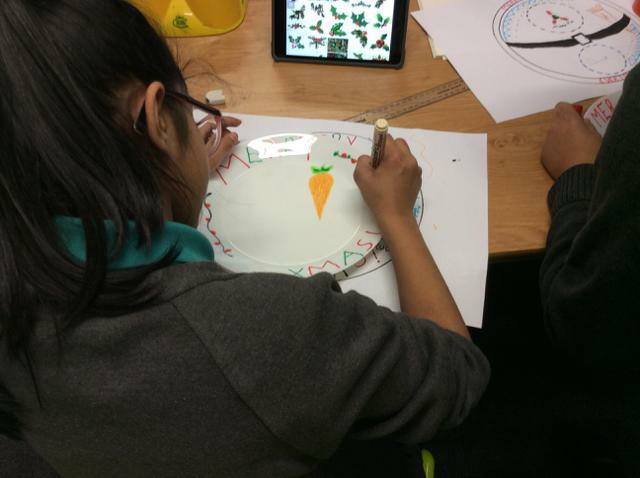 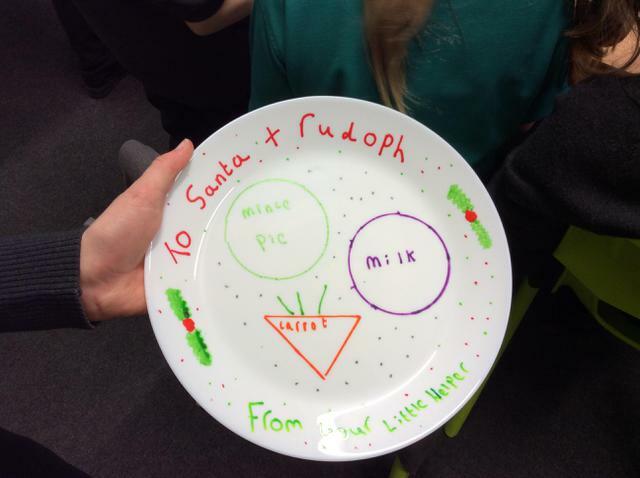 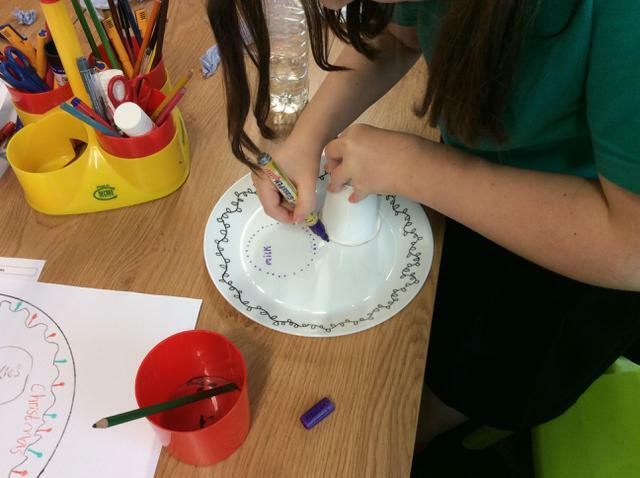 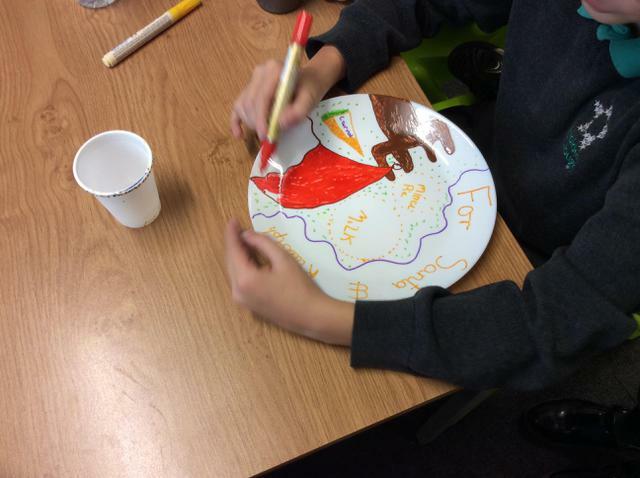 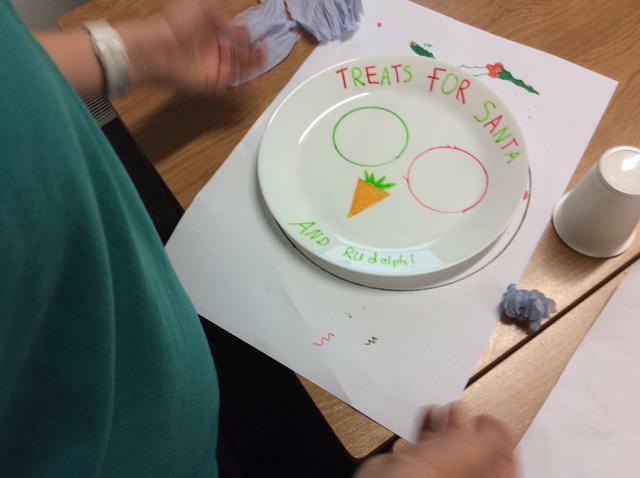 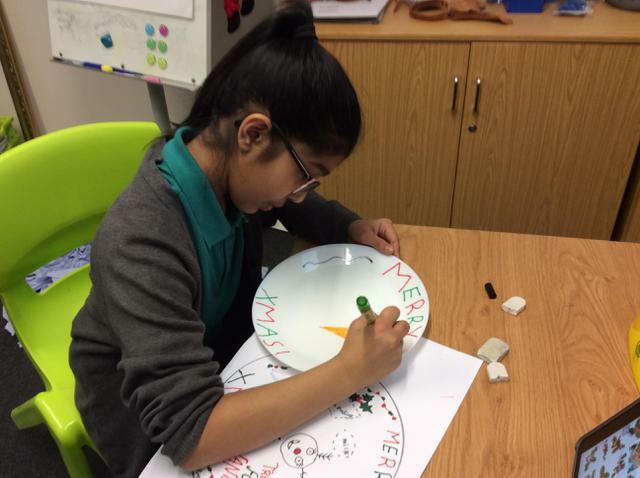 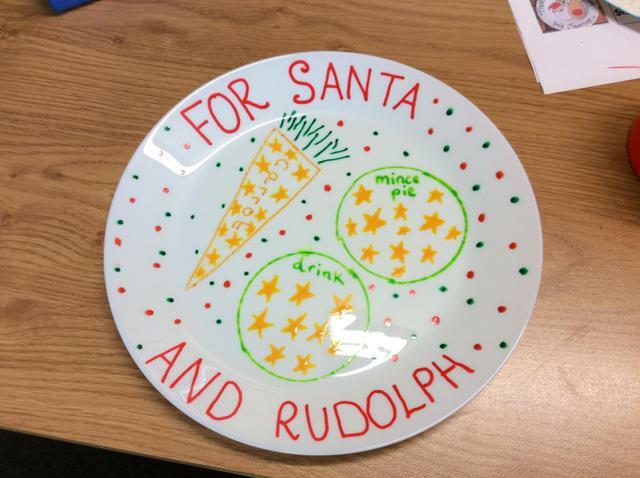 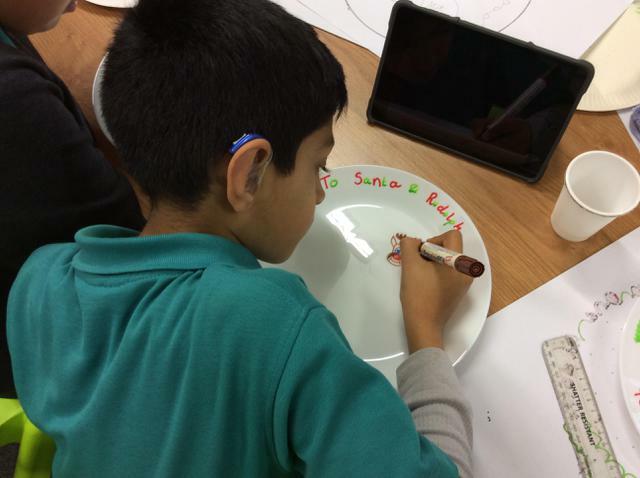 We looked at Christmas products being sold in the shops currently and chose to create Christmas Eve plates that we could sell at the Christmas Fair. 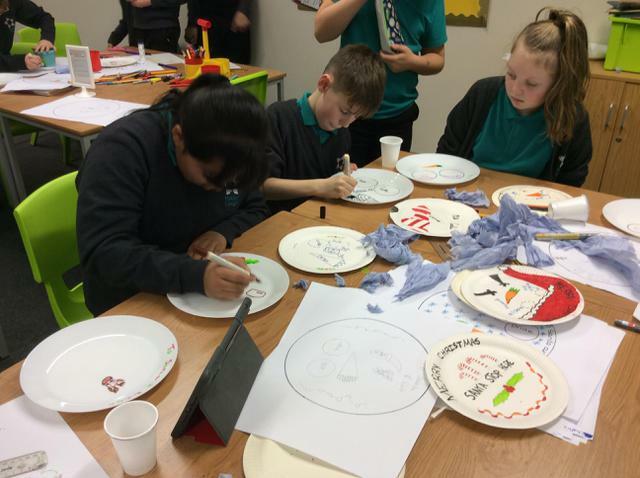 We designed our plates and then evaluated our designs in order to ensure that our final products would be the best that we could make them. 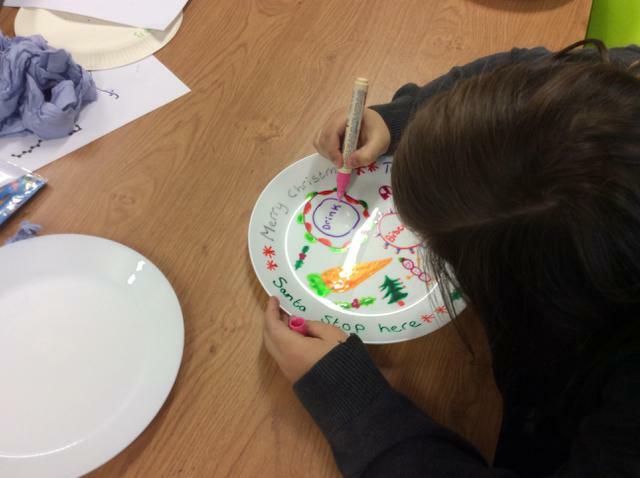 In order to make our plates, we used porcelain pens to draw our designs and then baked the plates for 30 minutes in an oven to set the ink. 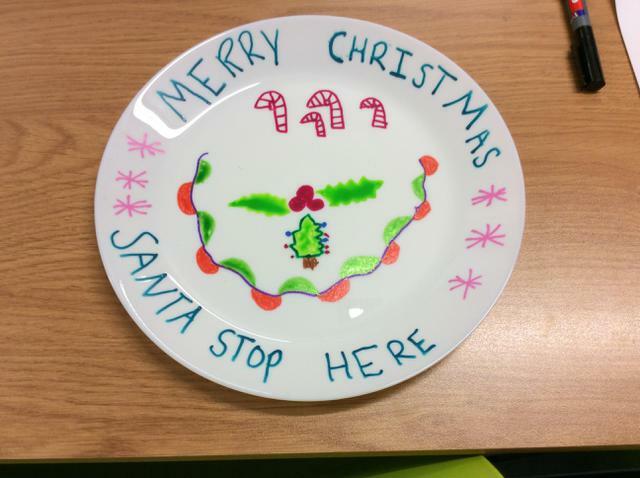 I'm sure you will agree that our end results are festive masterpieces - let's hope we make a good profit! 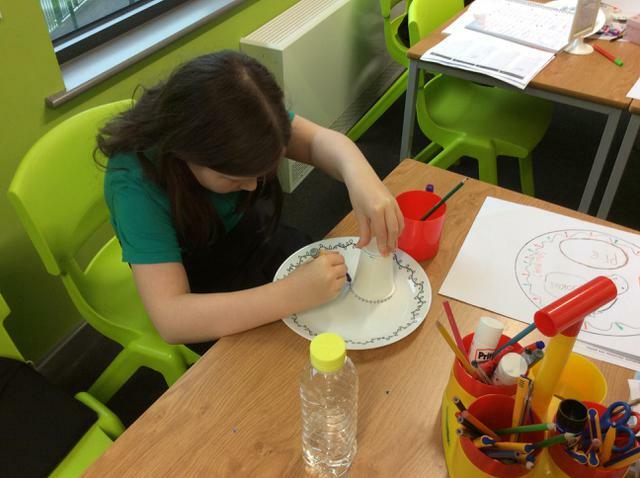 We've been using the Aardman app in Year 6 to bring some inanimate objects to life. 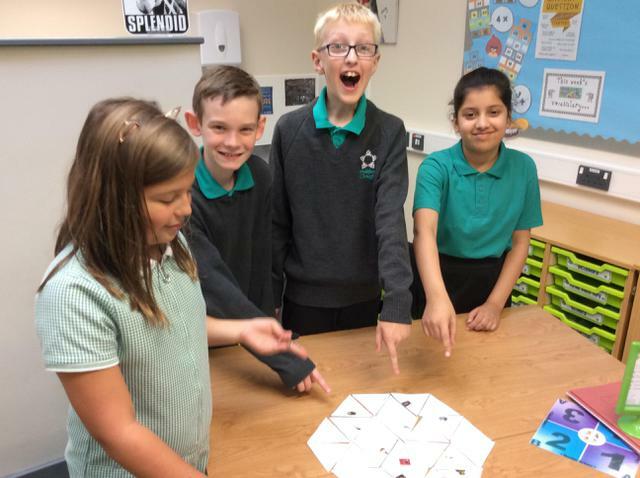 We learnt how to use the onion-skin features and how many pictures we needed to take to create our very own short animations. 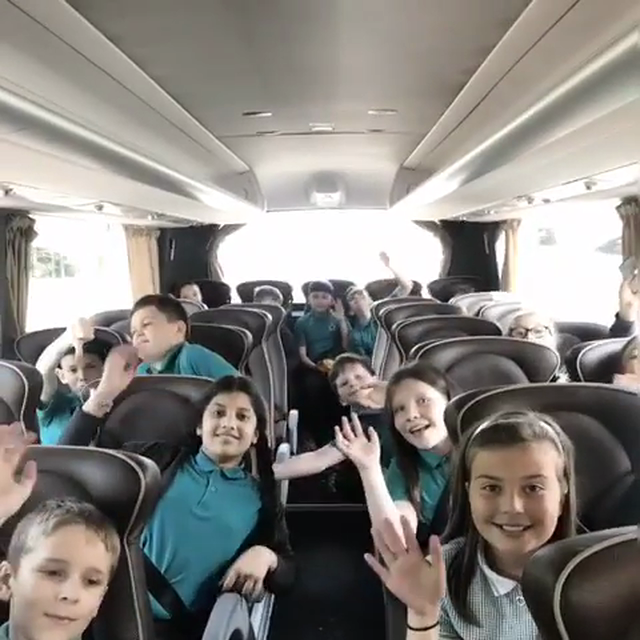 Year 6 had a fantastic time in London this year, we loved Harry Potter Studios and soaking up the sites of the capital...check out our pictures! 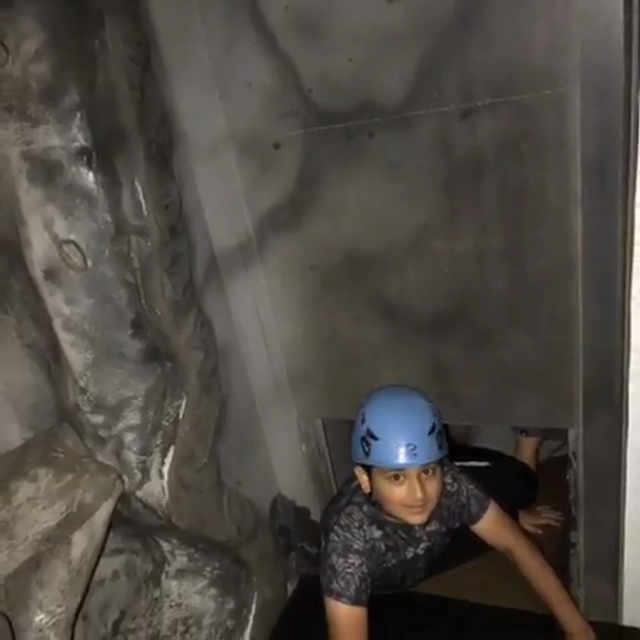 What a brilliant weekend we’ve had at Robinwood! 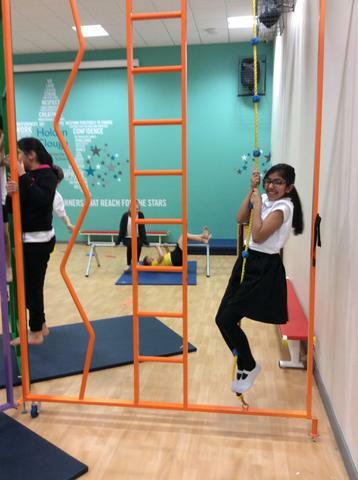 We pushed ourselves to reach new heights and had a whole lot of fun getting there...check out our pictures.